Learn. Connect. Grow. Students showcase their artist abilities. Photo: Lottey Willshire. 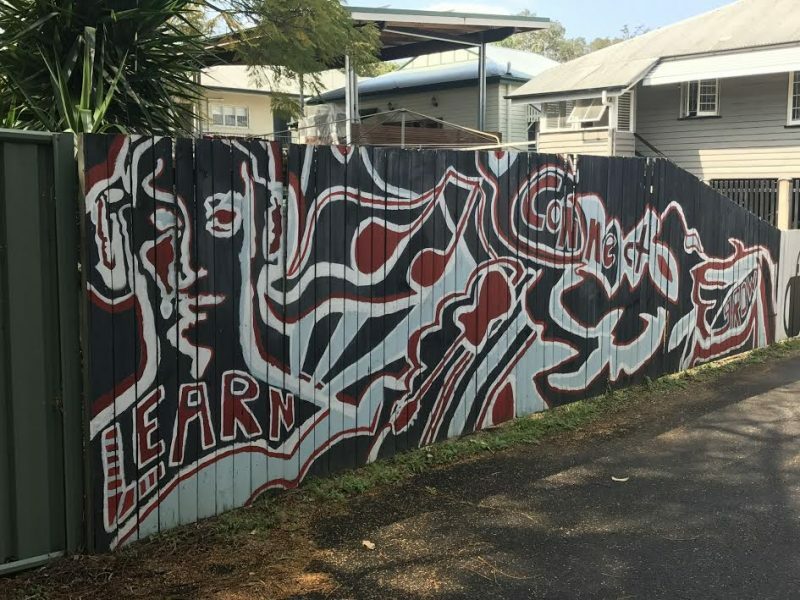 Grace has been a student at Endeavour Foundation’s Education and Lifestyle Program (ELP) for almost one year. She enjoyed her high school experience, where her favourite subjects were hospitality and cooking. But she says she has much more fun learning at Endeavour. “I like coming to ELP everyday,” the 23 year old said. A talented sportswoman, Grace enjoys swimming and playing basketball at a competitive level. Grace’s hard work has earned her a place on the Queensland Special Olympics team and she also competes in mainstream swimming events. “I’ve been hopping up at five in the morning to do swimming training before school,” Grace said as she detailed her busy schedule. On top of ELP and sporting commitments, Grace also has a part time job working for Wesley Mission and spends her spare time working on her herb garden where she grows capsicum, lettuce, green beans, and much more. “I’ve got a herb garden at home and I grow a lot of things…I like to do that on the weekend,” Grace said. ELP students (from left to right) Sam, Jackson, and Grace. Photo: Lottey Willshire. But Grace is one of the lucky ones. For many people with an intellectual disability, the leap from high school to the workplace is an enormous one, that is not always successful. 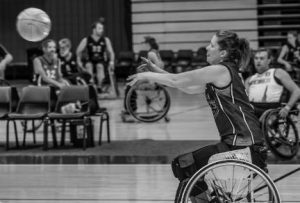 All too often people with a disability are limited not by their disability but by society’s belief that they are incapable of achievement, a notion organisations such as Endeavour Foundation and programs like ELP clearly challenge. 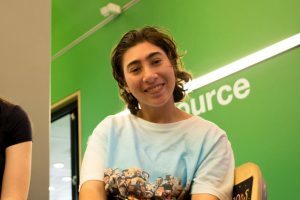 Grace is part of the Endeavour Foundation’s Education and Lifestyle Program – one of the only initiatives in the country that helps students with a disability prepare for independent life after high school. ELP provides students with opportunities to improve their academic, social, and practical life skills while assisting students to achieve their individual goals. The ELP classroom layout to similar to mainstream classrooms. Photo: Lottey Willshire. The ongoing debate about the integration or segregation of disabled students has divided the Australian education system for years. While some argue the integration of students with a disability potentially distracts classrooms, others argue that same integration provides an opportunity for all students to develop an acceptance of those with a disability. The United Nations Convention on the Rights of Persons with Disabilities states ‘persons with disabilities should be guaranteed the right to inclusive education at all levels, regardless of age, without discrimination, and on the basis of equal opportunity’. Reports from the Australian Bureau of Statistics indicate that 8.3% of Australian school students are disabled and 61.4% of those students have reported experiencing difficulty in school. While a search to address this solution continues, the recent political atmosphere has exposed some negative perspectives regarding the place of disability in the education system. 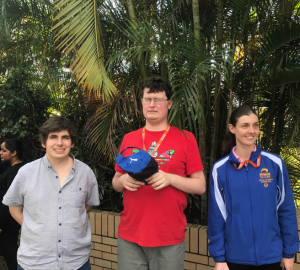 Queensland’s Endeavour Foundation is working hard to turn these perceptions around and create environments where students with a disability receive the proper support to reach their full potential. They provide disabled people with a wide range of services and help individuals turn possibilities into reality. 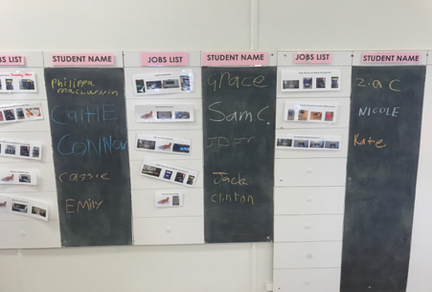 Students complete daily tasks to build practical life skills. Photo: Lottey Willshire. The post-school education program currently has a student to teacher ratio of roughly six to one and is designed to help students of all academic levels, although Mr Horstman acknowledges most students enter the program with a year three or four level of education. 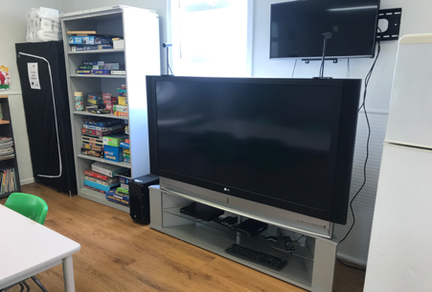 “We’re looking at those basic numeracy and literacy skills and working on building them to reach a level which will support an independent life,” he said. 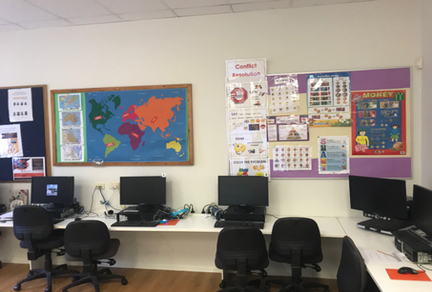 The classroom is decorated with visual educational stimuli. Photo: Lottey Willshire. 22 year old ELP student, Sam, is a highly driven individual who wants to attain his TAFE Certificate 2 in Business. Sam is enjoying learning at ELP and wants to work on his reading, writing, and mathematics skills to help secure future employment in the business sector. Since entering the program just over two years ago, Sam’s academic level has risen substantially although his biggest improvement lies in his social skills and confidence. “I used to stand in the passageway…but now I sit in the classroom,” Sam said as he talked about his shy beginnings at ELP. Sam is looking forward to building on his life skills with the ultimate goal of securing his own apartment in Brisbane. 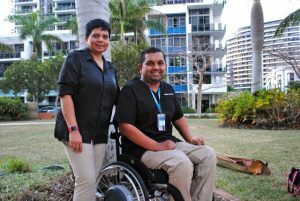 Although it’s important to acknowledge the success of programs such as ELP which specialise in educating people with a disability, it is not the only effective method of education for students with a disability. Ms Boulton understands that although it would be ideal for all students to learn together, this is not always achievable as not all students learn at the same pace or in the same way. 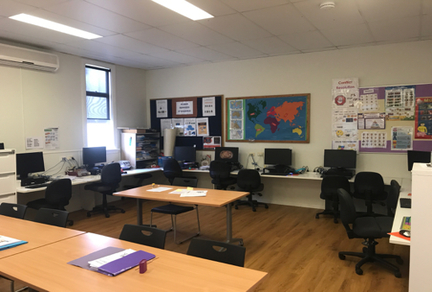 “We would argue that students need as much support as they can get to stay in the mainstream classroom but where they’re not actually learning in that environment, they should be given the opportunity to learn in an environment that’s better suited to their abilities,” Ms Boulton said. Virtual reality technology helps students build practical skills. Photo: Lottey Willshire. Mr Horstman believes segregation is not the answer. “If you were to segregate those students who may be defined as the distraction, what you are doing is supporting the exclusionary belief that people are unfortunately expressing,” Mr Horstman said. “At what point to do you segregate? Where do you draw that line?” He also acknowledges that complete inclusion may not be an effective solution either. When asked if he thought there was one answer to the problem, Horstman had one message. “One answer, one word: respect. What comes with respect, for yourself and for others, is that ability to accept other people,” Mr Horstman said. “At the end of the day, if you treat students with intellectual disability as human beings, that’s where possibilities, realities, and inclusion all come from”. Spending time learning and socialising with her friends is easily the highlight of Grace’s day. “I like learning with my all my friends at ELP, especially when we go over to the field,” Grace said, proclaiming her love for learning outdoors. For more information on Endeavour Foundation and their education programs, visit their website.